The Salos team enhance the full HPHT planning and delivery life cycle, with all our services designed to ensure safe and efficient delivery of the well. Accelerating operational competence for safe well delivery. The Salos team enhance the full HPHT planning and delivery life cycle, with all our services designed to ensure safe and efficient delivery of the well. As an organisation we provide an end to end service across the full HPHT planning and delivery life cycle including; project planning and setup, drilling programme review & optimization, DWOP & HAZID facilitation, development and review of well control documentation , operational readiness audits and the provision of training and coaching at the wellsite and for the management teams. All our services are designed to ensure the safe and efficient delivery of the well. SSL conduct full Drilling Readiness Reviews to provide operators with an impartial review of upcoming operations and progammes across the full spectrum of technical, operational, logistics, planning and safety readiness considerations. SSL bring a vast amount of global drilling operational experience to the reviews and incorporate industry leading practices into every review to identify gaps and opportunities for cost savings and optimization. Salos have experienced DWOP & HAZID facilitators who work with Operator teams to maximise the impact and participation in the workshops with a focus on programme optimisation and risk reduction. Updated well programme and information to feed into revised procedures. Final report, including photographs, narrative of the session, summary of discussions. Our rig well control readiness audits are designed to ensure that manuals, procedures, policies, equipment & people, when combined, are able to meet the emerging operational challenges that HPHT drilling projects can bring. Using our Well Ready TM audit system our auditors are not just able to identify gaps but quickly identify issues and offer remedial actions allowing them to take the appropriate corrective action. Our focus is to reduce the risk our clients face whilst simultaneously improving safety and performance. Our audits are based on compliance with industry standards and can be customized to incorporate company requirements and procedures. Salos have conducted audits on a wide variety of drilling rigs for multiple operators. The coaching provided by Salos Sunesis improves performance in the execution of the well programme, enhances the core competencies and practical knowledge of the team. 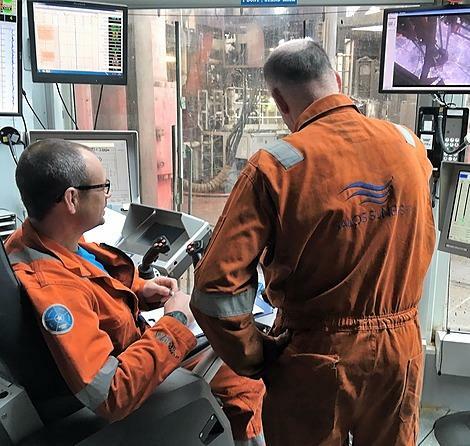 Our HPHT Coaches are typically deployed at the start of the 12 ¼” section, or earlier, to close any gaps and improve performance and awareness of the rig personnel prior to reaching the HPHT section. Valuable rig time is saved through their deployment and our unique approach to coaching and as a result we bring a number of significant safety and performance advances to our clients drilling operations. Our coaching team have 24 hour access to our Project Asset Coaching Systems (PACS). This unique system of project support provides technical, performance and people support from our inhouse experts to our client’s teams (office and rigsite). Suport available includes Technical Support/Advice as required, Technical Limits Advice, Best Practice Collation and Transfer, Unplanned Event Solutions and Recovery Advice and 24 hour emergency well control and emergency technical support. This support system combined with our unique HPHT tools further ensure that our project teams accelerate operational competence for safe well delivery.